The 2007 All Africa games were held in Algiers Algeria. The boxing tournament also served as the qualification tournament for the 2008 Olympics. The top two boxers in each weight class earned an automatic Olympic berth. Kenya won one gold medal via Suleiman Bilali and two bronze medals via Joshua Ndere Makonjio and Daniel Shisia. 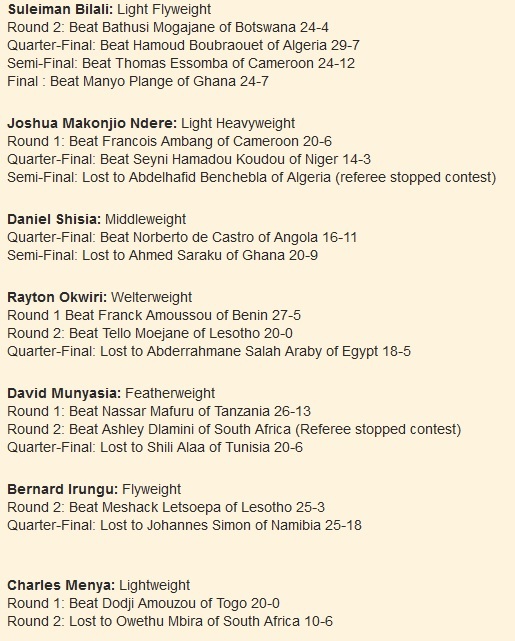 All Kenyan boxers won at least one bout. 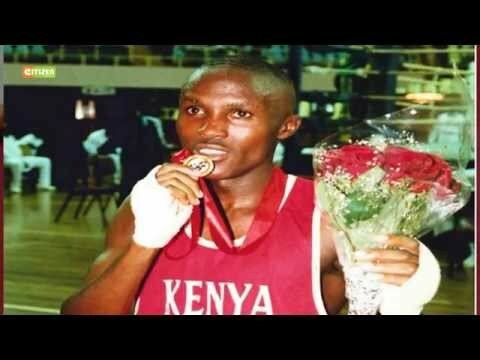 This entry was posted in kenya boxing, kenya boxing results, Kenya Sports news and commentary and tagged bernard Irungu, charles menya, daniel munyasia, daniel shisia, Joshua Ndere Makonjio, rayton okwiri, suleiman bilali. Bookmark the permalink.